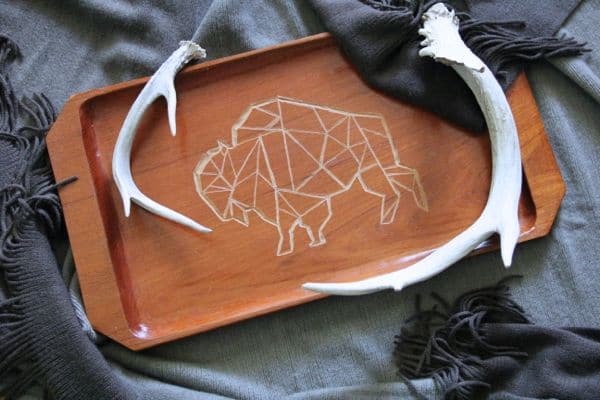 I’ve had this simple wood tray for a long time and it just needed a little something. 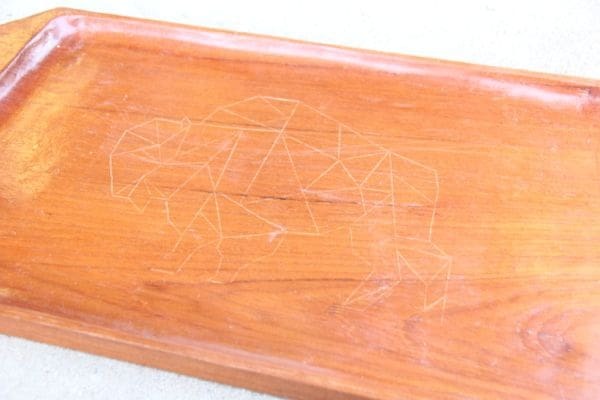 I decided I would use my Dremel Micro to create an etched geometric bison tray. 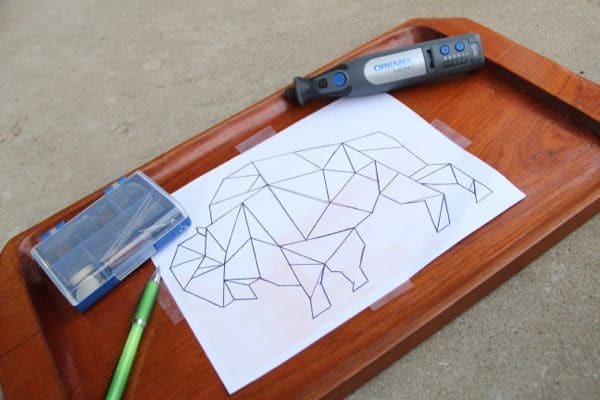 I started by printing the VR Bison and taping it to my tray. 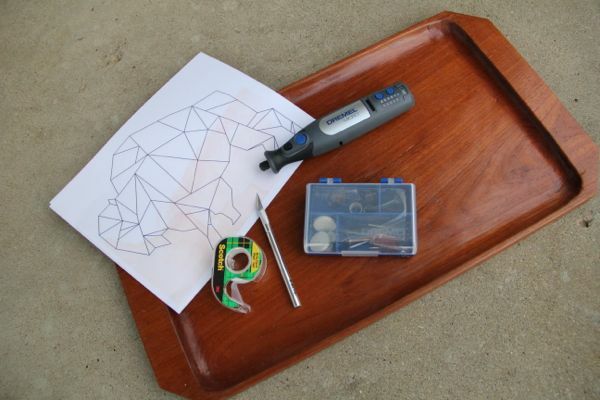 Then I used a pen and pressed hard to trace the image, lightly etching it into the tray. Once total darkness hit I moved inside to the kitchen. 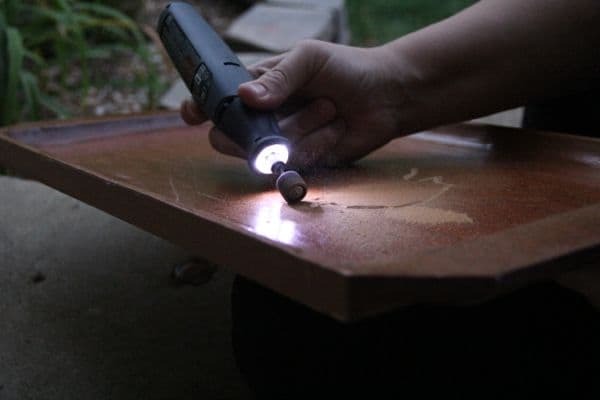 I really started getting the hang of using the sander to etch and got into my “Dremel Groove”. 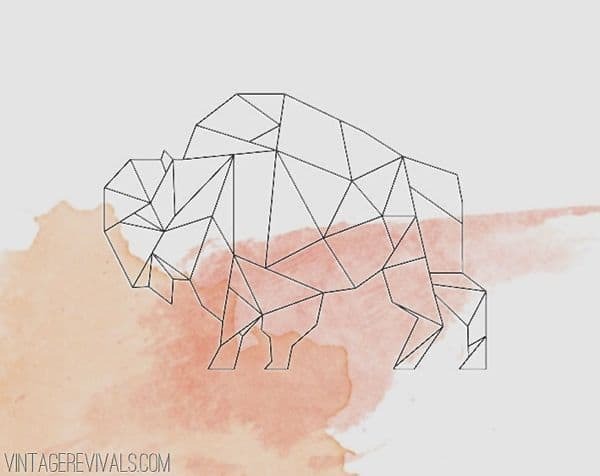 Once I had made a thick line around the perimeter, then I started etching the geometric lines on the inside of the bison. There was a small learning curve, and by the time that I had etched the entire design I was pretty good with controlling the Dremel Micro. I’d say it took about 30 minutes of etching. 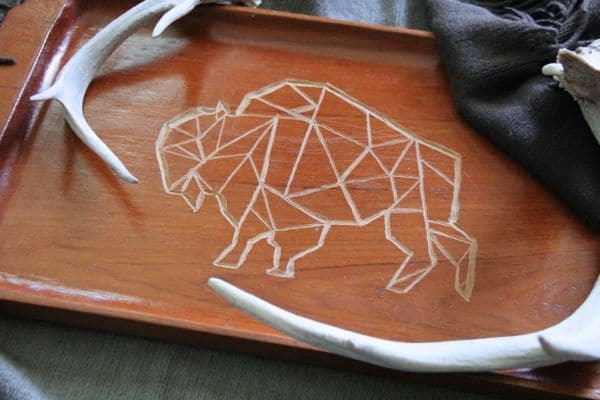 I am SO happy with the way that my etched geometric bison tray turned out. 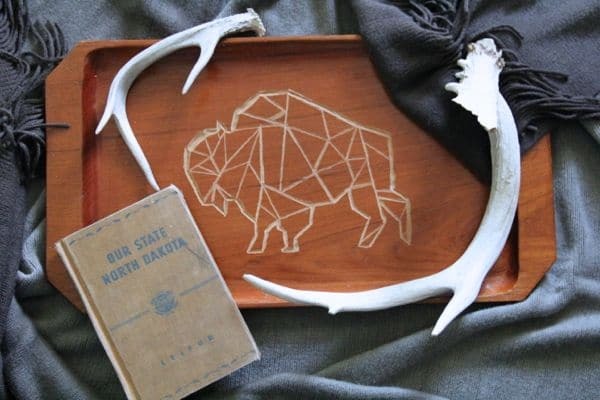 It brings my love of vintage wood, North Dakota, and DIY projects all together. where did you get the tray? 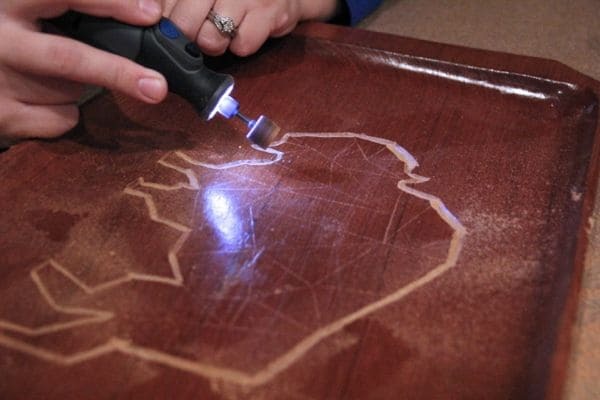 I’ve been wanting to try using my dremmel to etch something wood, but I wasn’t quite sure how. Thanks for sharing how you did it. Your tray turned out beautifully. Aw thank you so much! 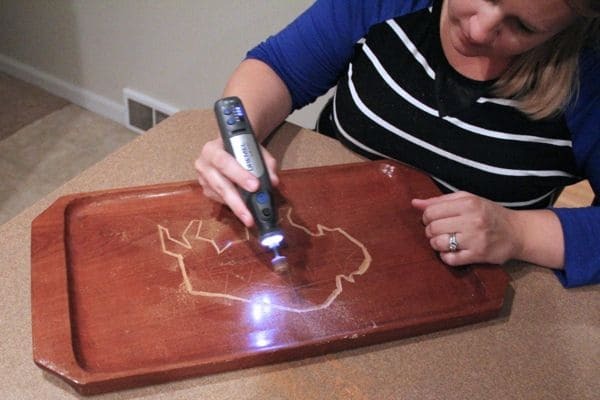 You might want to practice on some scrap wood first, but after about 15 minutes of playing with it I had figured out how to use the side of the sander attachment to etch. Good luck with your etching!